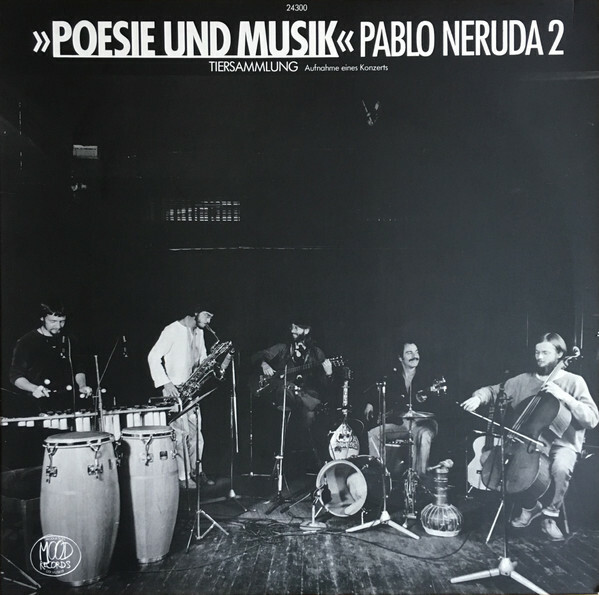 Here´s the second "Poesie & Musik" album with interpretations of works by Pablo Neruda. "Tiersammlung" was recorded live at the famous club "Manufaktur" in Schorndorf in the southern part of Germany in 1980. Members of the band were at this time René Bardet (bouzouki, guitar, voice), Tini Hägler (marimba, percussion), Ruedi Häusermann (flute, sopranino), Martin Schütz (cello, mandoline) and Orlandon Valentini (bass, drums, guitar, percussion).